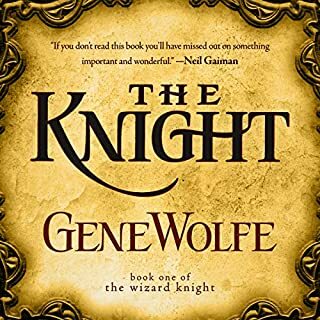 Perhaps no living author of imaginative fiction has earned the awards, accolades, respect, and literary reputation of Gene Wolfe. 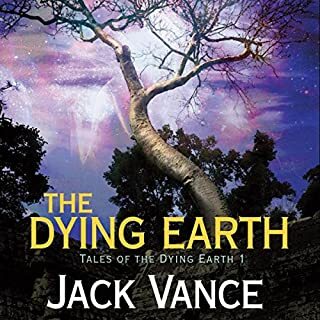 His prose has been called subtle and brilliant, inspiring not just lovers of fantasy and science fiction, but listeners of every stripe, transcending genre and defying preconceptions. An American writer of travel guides in need of a new location chooses to travel to a small and obscure Eastern European country. The moment Grafton crosses the border he is in trouble, much more than he could have imagined. His passport is taken by guards, and then he is detained for not having it. He is released into the custody of a family, but is again detained. It becomes evident that there are supernatural agencies at work. E. A. Smithe is a borrowed person. He is a clone who lives on a third-tier shelf in a public library, and his personality is an uploaded recording of a deceased mystery writer. Smithe is a piece of property, not a legal human. A wealthy patron, Colette Coldbrook, takes him from the library because he is the surviving personality of the author of Murder on Mars. A physical copy of that book was in the possession of her murdered father, and it contains an important secret, the key to immense family wealth. The story of a truly galactic civilization with more than 6,000 inhabited worlds. Stars in My Pocket Like Grains of Sand is a science-fiction masterpiece, an essay on the inexplicability of sexual attractiveness, and an examination of interstellar politics among far-flung worlds. First published in 1984, the novel's central issues - technology, globalization, gender, sexuality, and multiculturalism - have only become more pressing with the passage of time. 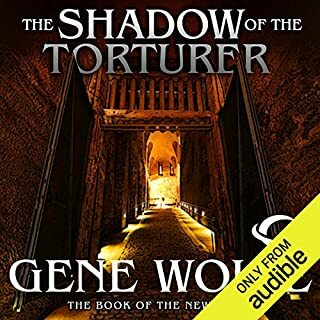 The long awaited audiobook sequel to Gene Wolfe's four-volume classic, The Book of the New Sun. 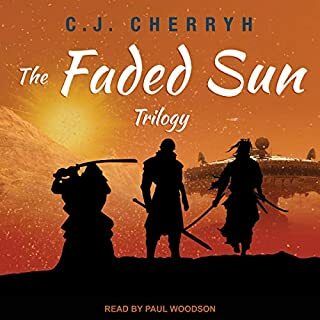 Listeners return to the world of Severian, now the Autarch of Urth, as he leaves the planet on one of the huge spaceships of the alien Hierodules to travel across time and space to face his greatest test, to become the legendary New Sun or die. The strange, rich, original spaceship scenes give way to travels in time, wherein Severian revisits times and places which fill in parts of the background of the four-volume work, that will thrill and intrigue particularly listeners who enjoyed the earlier books. 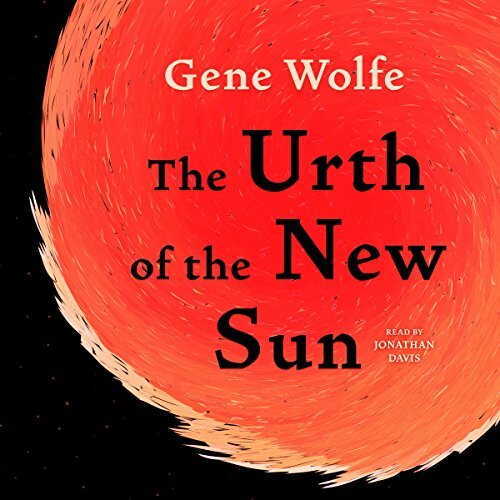 But The Urth of the New Sun is an independent structure all of a piece, an integral masterpiece to shelve beside the classics, and one itself. 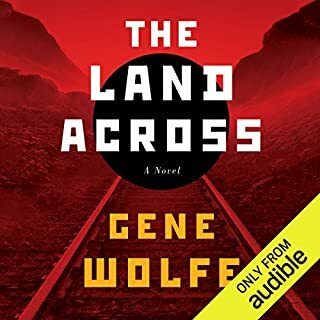 I've been reading and rereading all of The New Sun series, both in paper and audio form, and have missed having a good studio version of book five, I. E. Wolfe's great trick of extending his series in order to answer (still in Wolfe-y fashion) a few more questions raised by the first four. 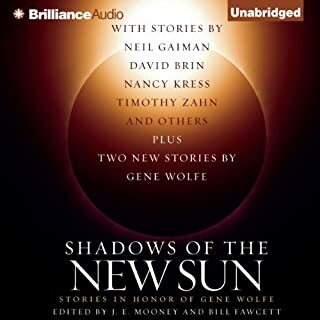 So happy to have a complete audio set to dive between the sun's now. First the books are amazing. This one not so much. Overdosed on punk steam and christianity.